Awesome! Will definitely try it all out, thanks! 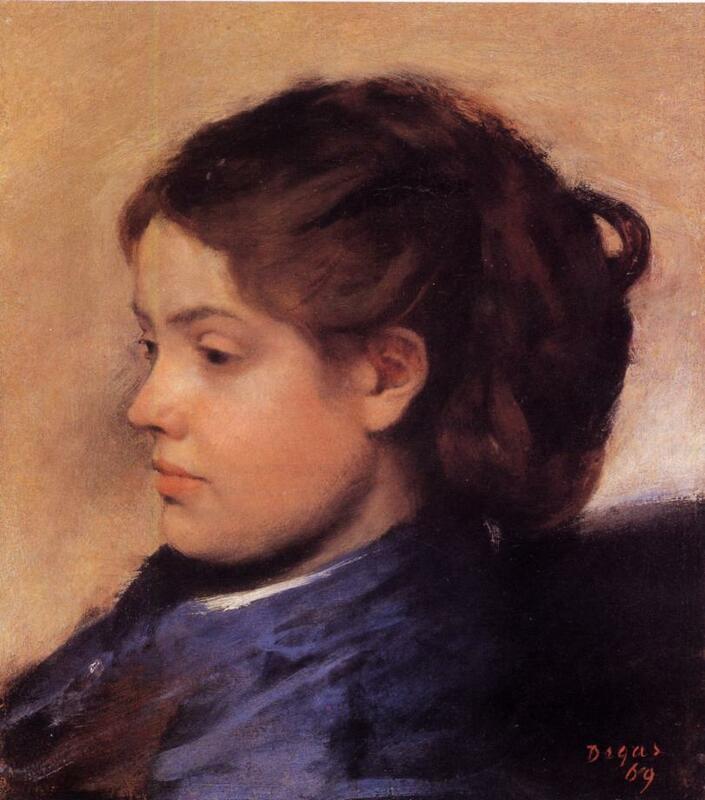 Here's another Degas portrait. I notice I keep making faces longer than they should be, not just in this case but also when I'm doing the gestures and sketching without reference. I'll have to make a note of making shorter faces from now on! Did I mention Degas is crazy good? Last of today, I promise! hey! ^ ^ Just wanted to pop in and say nice master studies! XD keep them up! At 8/23/14 10:49 PM, Toshi13go wrote: hey! ^ ^ Just wanted to pop in and say nice master studies! XD keep them up! One would have to be blind not to see the obvious circular direction in this piece. It's layered with a light core, framed by a dark ring fading into a bright ring with some dark foreground elements. Starting with the mountain, you can see it's framed in the dark clouds and the silhouette of the mountain. The area transitions down and right before being picked up by the centrifuge of nature. Guided by the cast shadow of the clouds hitting the ground, your eye may begin to climb the mountain, before being lifted by the clouds, soaring to the right. Transitioning into extreme light as the clouds pick up the sunlight, you can almost feel them flowing down the hillside and merging back again with the ground. Anywhere you look at this piece, your eye is being guided back to this circle! Lost a lot of the detail in the left side of the painting due to program error right at the very end! Painted some back in but it's a bit rushed and half-hearted. There's a use of economy in this picture that draws emphasis towards the areas of interest. This, combined with value contrast leads the eye where the artist intended. The right hand cliffs are essentially gradients. This allows their silhouette to create a stark contrast against the clouds, as well as allow the bottom part to suggest where it meets the ground. The ground is framed in between two dark areas of trees on the left and right side. 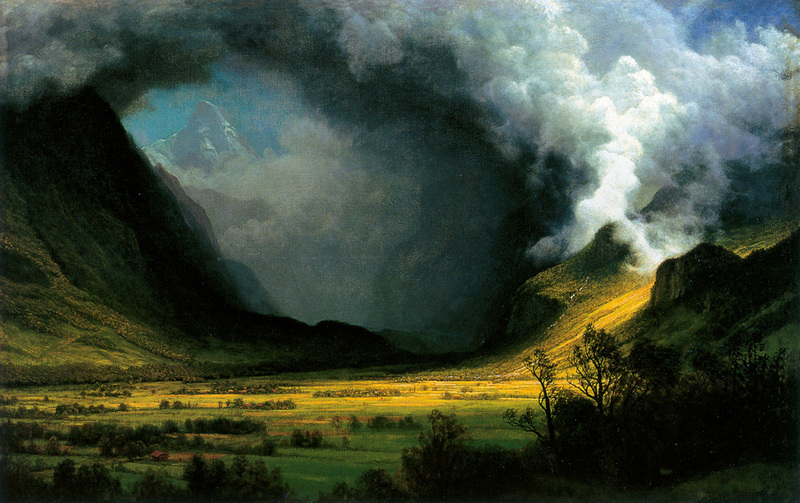 The middle part serves as a "gate" into the rest of the painting, which reinforces the perspective and makes the mountains seem that much bigger. I think 90 seconds is giving myself too much time. I need to step out of my comfort zone and into the more gestural area. Thank you! There's definitely a world of potential for improvement, and I'm looking forward to exploring it! Focused on getting the form of the hair, but quickposes kept showing images with the hair cropped out half the time ! Busy day today, but I got my tablet back so hopefully I'll be churning out more stuff from now on!